Sometimes you just need to hang out with the ladies. Men need to do the same with the boys. I think it is important to bond, laugh and just get to know each other on a deeper level or just be kids again. 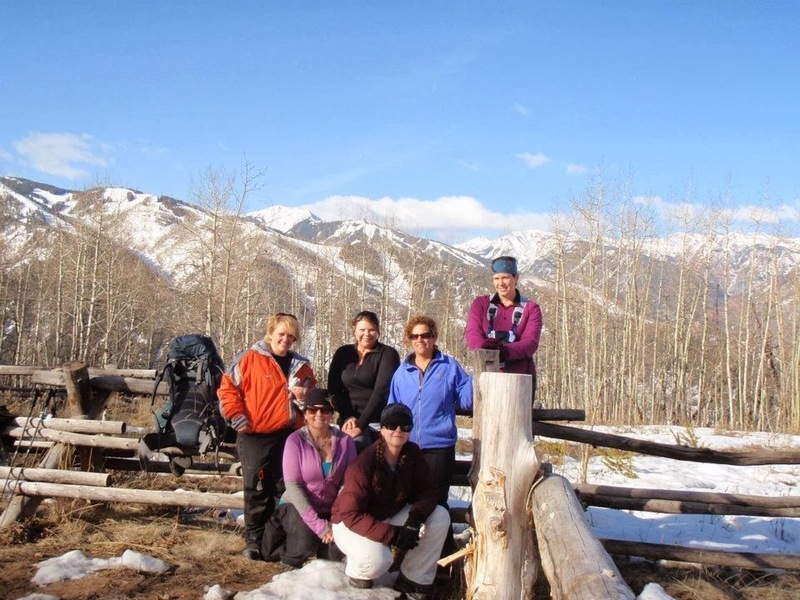 After I a rough patch of losing my one parent in 2010 and then the other in 2011 it was time for me to gather my crew of chicas, pack my gear and head out into the backcountry. Along in my backpack I brought the ashes of both of my parents. The alarm went off at 5 am and by 6 am we were out the door. By 7am we had started our trek to the Fritz and Fabi Benedict Huts just outside of Aspen, Colorado. There were 6 of us, all women. We all started off and set our own pace. It was a half a day of hiking as the conditions were tough that year. We made it to the hut and the excitement could be felt by all. Once we had a rest we all started to settle in and start to work. Time to build a fire and shovel our snow for water. One of my friends decided to wander off to find a place to spread my parents ashes. She came back and told me of the most beautiful spot by a frozen lake that she had found. I thought it would just be the two of us going because I had not shared with everyone that I had brought my parents. :) When the others found out they all wanted to go. They said they felt honored to be a part of this with me. We decided to go around sunset. The light was perfect and I cannot express the natural beauty that surrounded us. It was a magical weekend at the Fritz /Fabi huts for me that spring. Everyone was so supportive and I truly could not have picked a better send off for my parents. I think they would have been proud. "Tucked into the wilderness above Aspen, the Benedict Huts are two beautifully crafted cabins built in 1997 to honor the late Fritz Benedict and his wife Fabi, the spiritual parents of the 10th Mountain Division Hut System. 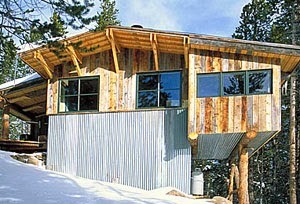 It was Fritz, along with a small group of Aspenites, who first conceived of the hut system and then started it. The Benedict Huts form a pleasing link between the McNamara Hut and Aspen, as well as providing access to a vast area of virtually untouched winter wilderness to the east of the huts." Hut Location: The Benedict Huts are located in a vast backcountry area at 10,970' about 5 miles southeast of Aspen, Colorado. The huts can also be reached from the McNamara Hut but half of this trail passes through a Primitive Wilderness Area and they are unable to mark the trail at all. This trail is rarely traveled and should only be attempted by experienced backcountry travelers. Get out there if you have a chance, and enjoy! Kamlyn may have relocated to Vermont (where new adventures await), but a part of her will always reside in the wilds of Colorado!